It’s a beautiful late Summer day as we drive up and park the car for our overnight stay at the historic Red Coach Inn, located a mere 500 yards from the stunning upper rapids of Niagara Falls. A historic hotel and B&B, the Niagara Falls Red Coach Inn opened its doors to usher in guests for the first time in 1923. An impressive building, it towered over everything nearby. 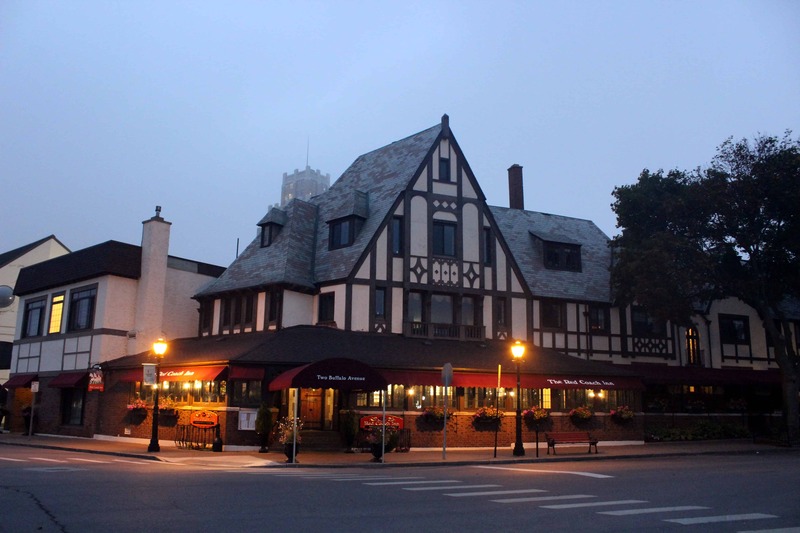 Three and one-half stories tall, fashioned after the famous Bell Inn in Finedon, England, owners William Schoellkopf and Charles Peabody had spared no expense recreating its English Tudor style. 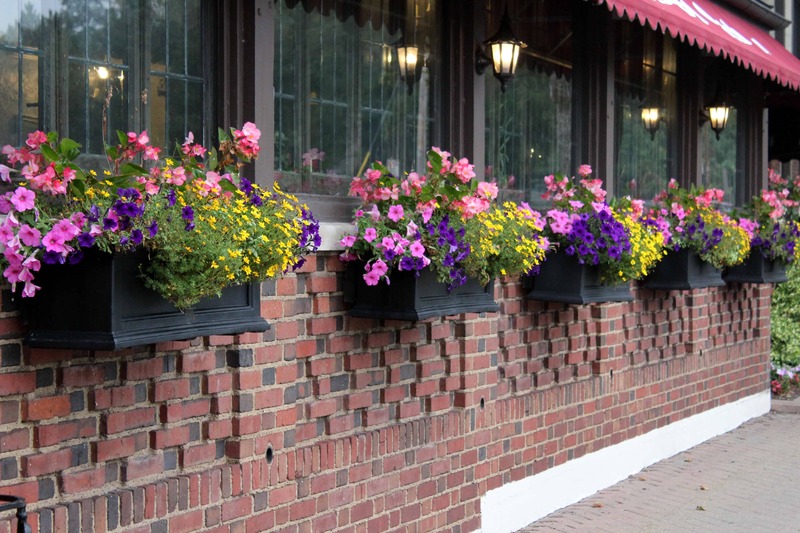 Flower boxes line several windows along the brick and stone facade, each overflowing with nature’s brilliant color. We catch sight of solitary people, couples, and families enjoying a drink and meal on the outdoor covered patio, their chatter, snippets of conversation about this and that, a welcoming sound under the late afternoon sun. 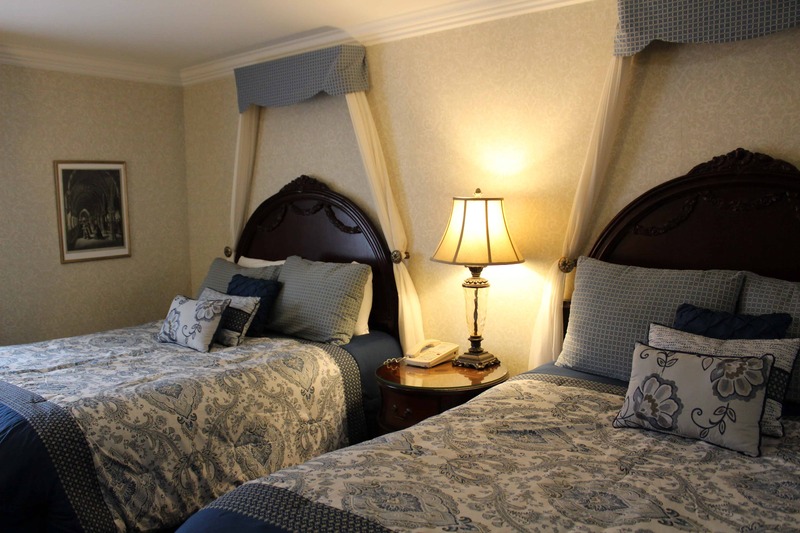 The Inn offers 37 stunning rooms and suites to choose from, and we’d booked The Newcastle Room. Only later did we learn it was the last name of a young bride murdered in a third-floor suite by her husband while on their honeymoon. By the early 1900’s, Niagara Falls had long-since earned the title of ‘Honeymoon Capital of the World.’ Many famous people had spent their first married days near the stunning sight. In 1802, Theodosia Burr, daughter of US Vice-President Aaron Burr at the time, visited the falls with her new husband, Joseph Alston. 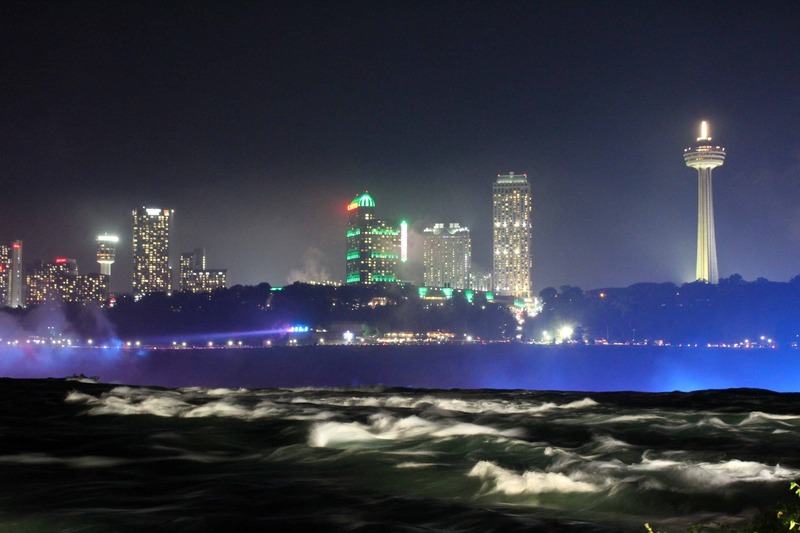 Other upper-class folks chose the area to enjoy spectacular views of Niagara Falls and scenic parks. There was romance in the air. 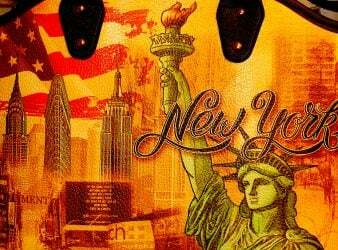 According to the story, a newlywed couple checked in to The Red Coach Inn around midnight. It was the first night of their honeymoon. A large, multi-room suite, The Victoria was on the third floor and boasted fantastic views over the Falls. The couple seemed to be happy, holding hands and laughing as they said their goodnights and went to their room. No one’s sure what happened after that. In the morning, when the maid went in to clean the suite, she ran out again screaming. The beautiful bride had been bludgeoned to death while sleeping. Her husband had grabbed a candlestick from the mantle and beaten her about the face and head, making her unrecognizable to those that found her. We attempted to learn more details about the couple, the groom’s arrest and subsequent trial, but details were scarce. Ever since the brutal murder, many guests report seeing a woman in an old-fashioned lace dress roaming the halls. Others hear and see things they cannot explain. The bartender tells us there are two ghosts present at the historic bed and breakfast. Many years before there was a fire in the stables and a little girl perished. She sometimes wanders around the hotel, in search of what, no one seems to know. The dining room is warm and inviting. Dark wood furniture, high ceilings, a stunning framed painting hanging over the massive fireplace in the Grill Room. It’s an image of General LaFayette’s famous red carriage, designed by Buffalo artist A. Rafael Beck. It recreates LaFayette arriving at the Eagle Tavern, a property once located across the street in the early nineteenth century. 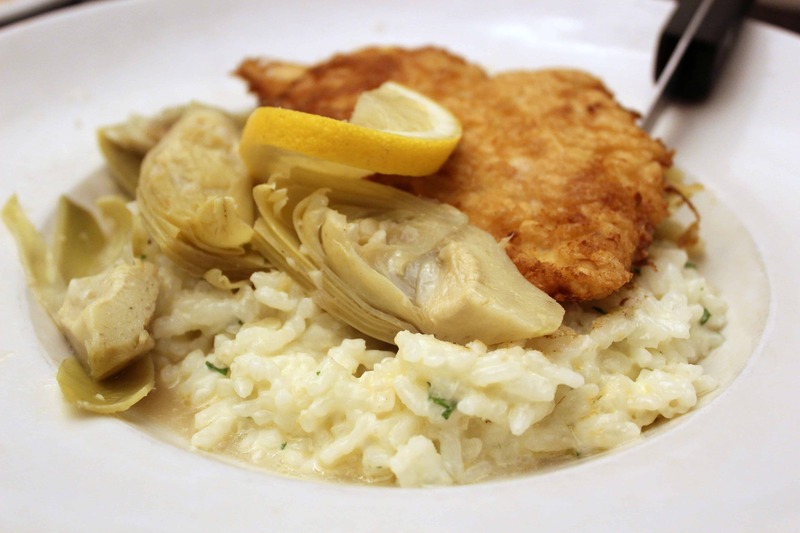 The Chicken French dish was to die for; tender egg-dipped boneless chicken breast, artichoke hearts, shallots and parsley with sherry butter sauce and creamy parmesan risotto, it was enough to feed an army. And dessert? Well, that was a slice of towering cake. 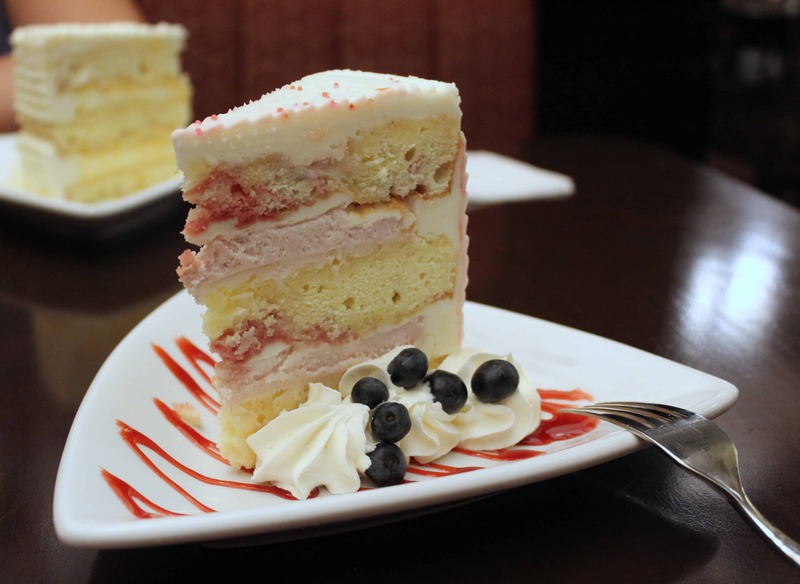 Three layers of white scrumptiousness with raspberry mousse sandwiched between them. I knew we’d better walk some calories off before bedtime. Five minutes later found us across the street and walking through the park leading us to the fireworks at the edge of the falls. Many others had the same idea on this mild Summer evening. 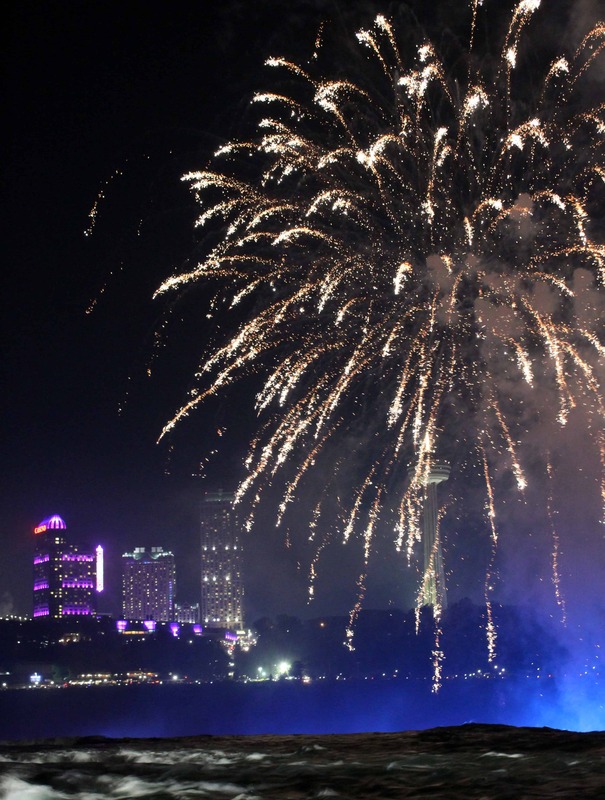 Couples and families with small children were out enjoying the falls and the fireworks from both the American and Canadian side of the attraction. The night sky was alight with bright reds, purples, greens, blues, and white explosions of color that took our breath away. The sight was enthralling and a great way to end the night. It’s all we talked about on the way back to our room and eight hours of restful sleep. No ghostly visits for us, we slept like babies. 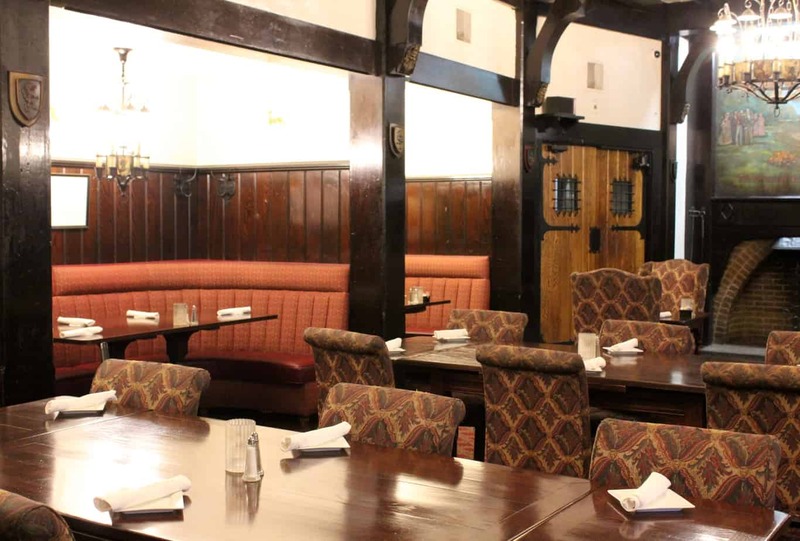 The Red Coach Inn is one of 65 properties along The Haunted History Trail of New York State. You can learn more about them by visiting their website- you won’t be disappointed. Wonderful story and great shots of the Red Coach Inn! Capitol Hill Haunts: Searching for Ghosts in Washington, D.C.